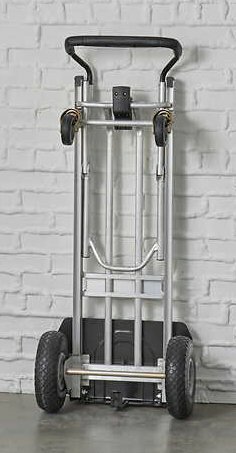 Let this lightweight hand truck do all your heavy lifting. The ergonomic design makes it ideal for home or work. 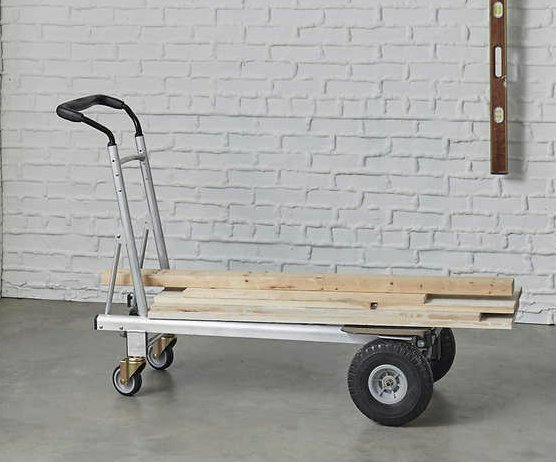 Easily converts to a 2-wheel upright, 4-wheel cart or platform cart with just one hand—no tools, no pins, no kidding. The new folding toe plate allows for larger items to be easily transported. 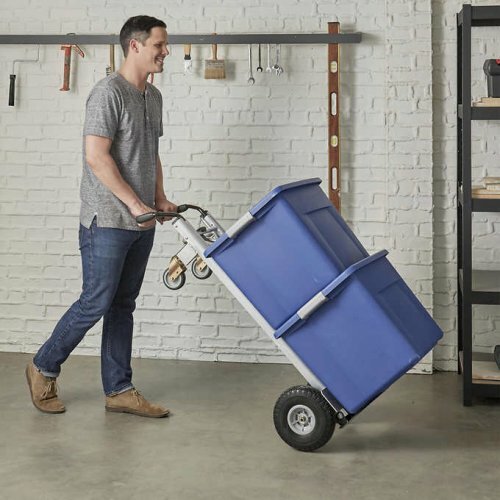 With this new 3-in-1 Folding Series Hand Truck, nothing gets left behind. 1000 lb. 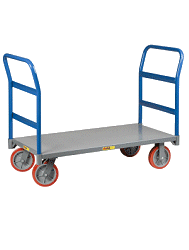 load capacity as 4-wheel cart and platform cart, 800 lb. load capacity as 2-wheel hand truck. Folding Toe Plate allows for larger loads and compact storage. Quick One-Hand Conversion: Easy to use and convert to different positions, no pins or tools needed. Multi-functional: Versatile for both home and office.